This aircraft was no easy find. 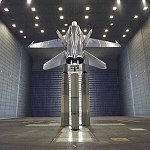 I saw a photo on the Internet that only showed a partial view of the Hornet. 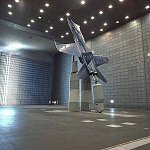 Sent a couple of emails to a museum at Moffett Field but received no reply. 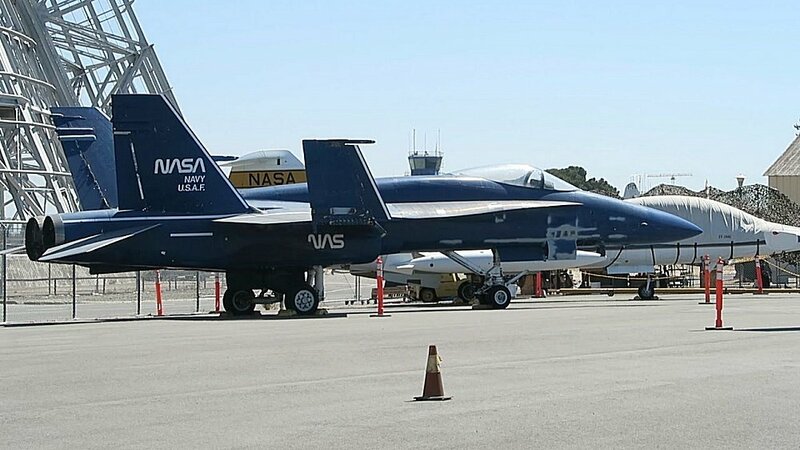 So during a 6 hour layover at San Francisco, I rented a car and drove down to Moffett Field to see if I could locate the aircraft and get the Bu No. Was able to get through the main gate and drove out to one of the hangars that I thought it might be and asked some Air National Guard people if they knew anything about a blue F/A-18. 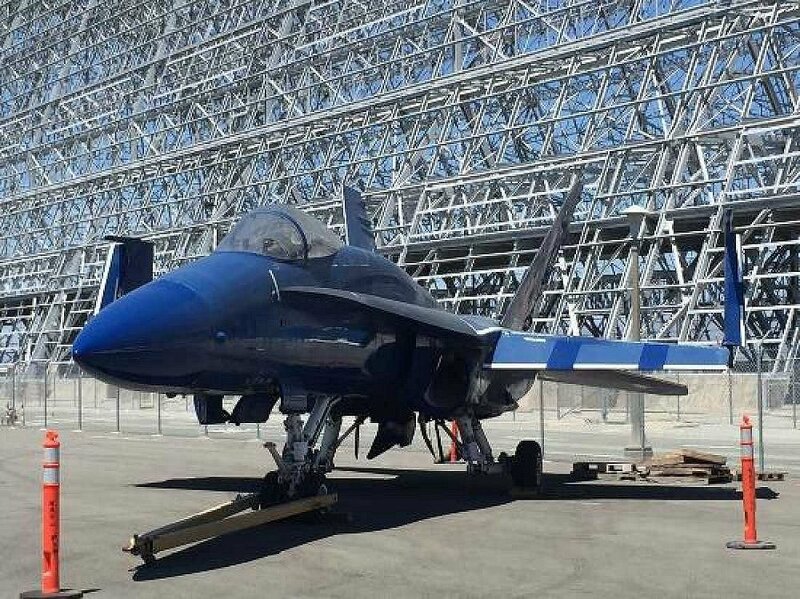 They indicated that there was a blue Hornet parked in hanger #3 and told me it was OK to just walk in a take a look around. a closer look and see if I could detect any kind of identification. 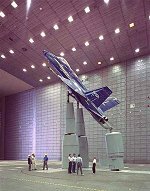 As I was touching the fuselage I could feel something embossed under the paint and upon closer inspection, was able to see the outline of "Blue Angels" and then I got excited. 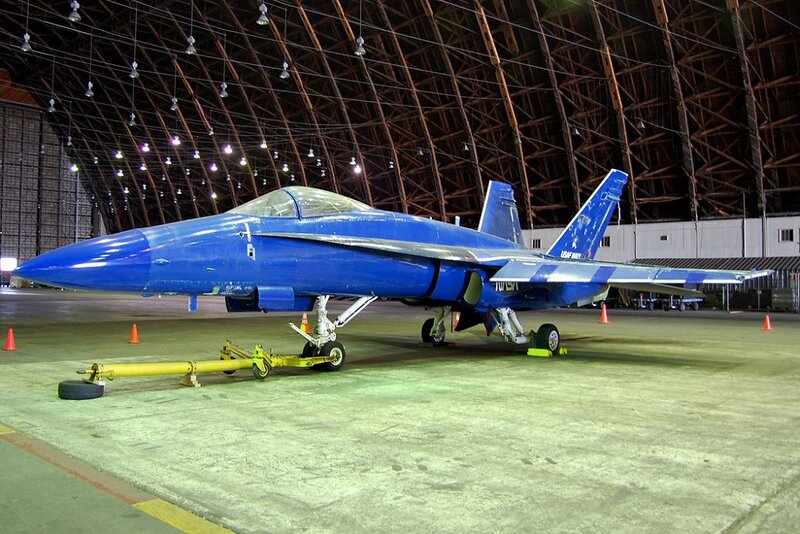 Bu No 161521 was one of the original Hornets to be flown by the Blue Angels. She flew the #3 position in her final year with the team. A real find! 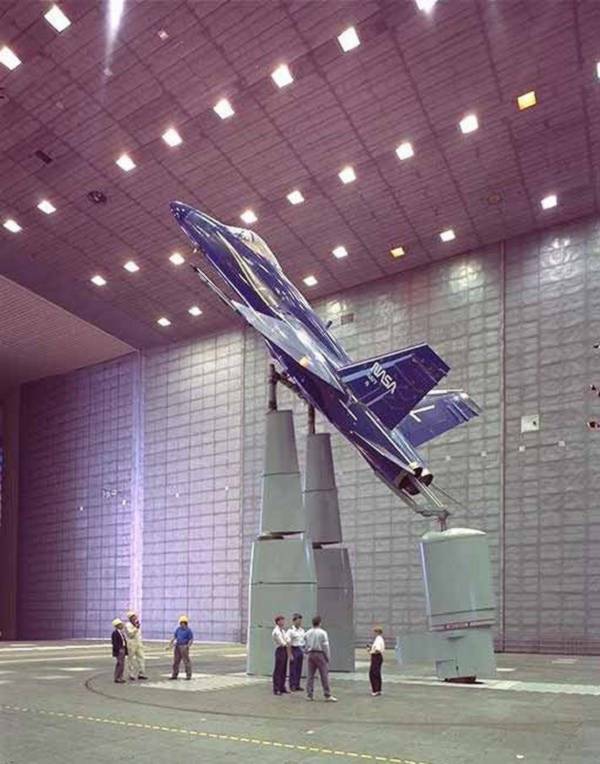 The photos were taken in 1991, during set-up for F/A-18 High Alpha Fighter Testing, High Angle-of-Attack Aerodynamics in the 80x120ft Wind Tunnel. 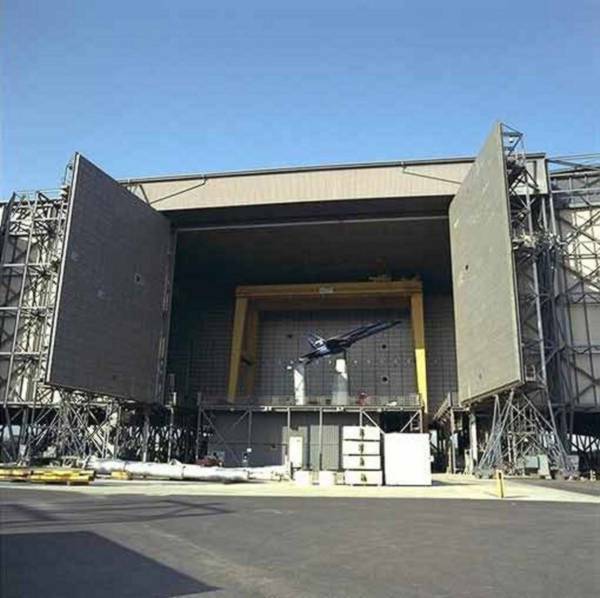 The largest wind tunnel in the world is at NASA's Ames Research Center. 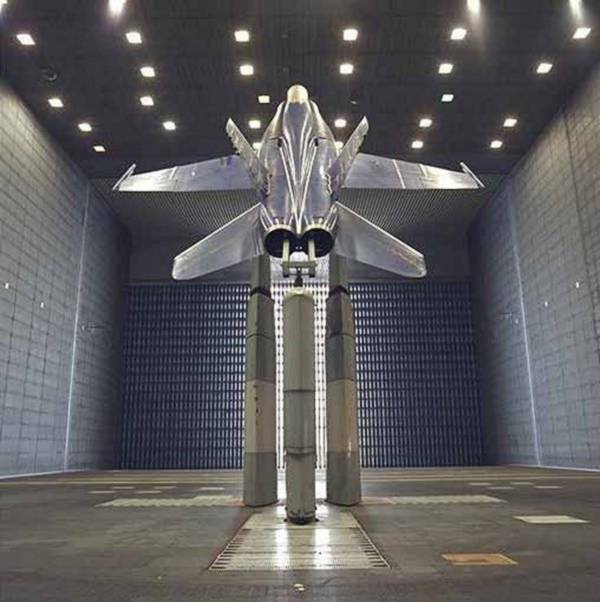 This subsonic tunnel, which can test planes with wing spans of up to 100 feet, is over 1,400 feet long and 180 feet high. 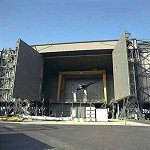 It has two test sections: one 80 feet high and 120 feet wide, the other 40 feet high and 80 feet wide. 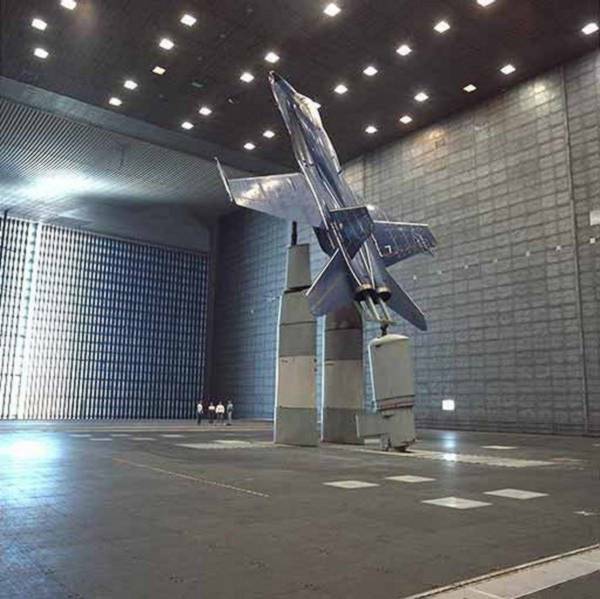 Air is driven through these test sections by six 15-bladed fans. Each fan has a diameter equal to the height of a four-story building. The fans are powered by six 22,500-horsepower motors. 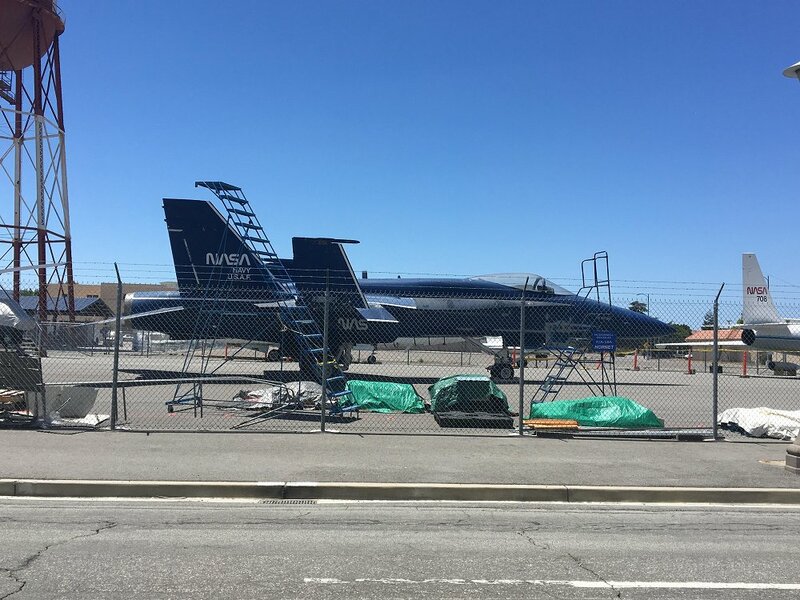 Thank to for the nice find Eric Renth has an update on Bu No 161521 as it was restored and moved to the Moffett Field Museum.